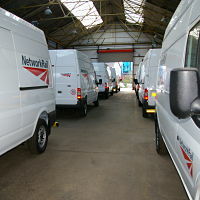 DA Motor Fittings are an independently owned company, established in 1970 by Geoff Davies as a sole trader, to become specialists in purpose built and bespoke commercial vehicles and van interior conversions. 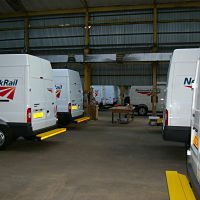 Centrally located in Stoke-on-Trent, close to all major motorway networks, our two sites offer over 42,000 sq ft of fully equipped workshops and storage facilities for up to 100 vehicles, providing the one stop vehicle conversion specialists. Over the 45 years of experience, we have established a proven track record of quality, service and the ability to advise clients on their requirements to satisfy their needs. 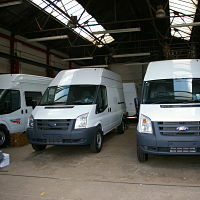 Our technical ability, qualified engineers and up-to-date computer technology using CAD/CAM XYZ CNC Machining and AutoCAD drafting and design layouts, enables us to build and convert any vehicle whilst still providing the safety standards that comply with pending and current legislation. 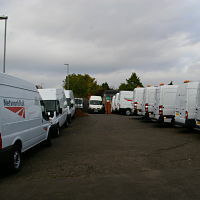 We are constantly reviewing all health and safety practices, environmental standards, vehicle regulations and VCA type approvals to ensure that the client's vehicles are fully compliant and up to date. 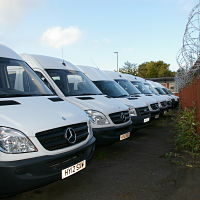 Our services have been utilised by all areas of industry and commerce, from large fleets to single van users, whose requirements range from a basic layout to a purpose designed specialist conversion. 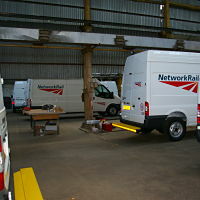 With established names from the major hire companies, rail industry, major dealer networks and many other public utility organisations, we have provided them with high quality conversions that have enhanced their performances to achieve their own company goals. 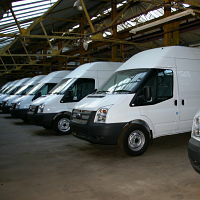 Whatever your requirements, DA Motor Fittings can provide the vehicle conversion to suit your needs at a competitive price guaranteeing the same quality assurance and correct safety specification no matter how large or small the contract. 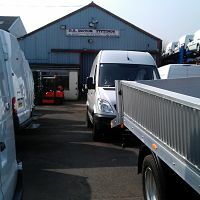 Our business is built on customer recommendations and our reputation for Quality and Service, is second to none.